Who's ready for some slide action? 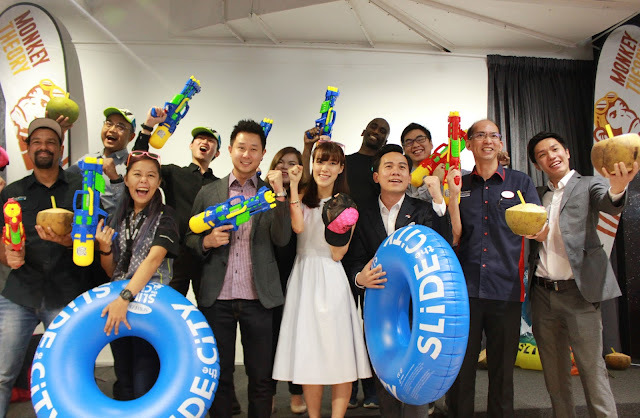 With this blog post, I'm happy to announce that the Slide the City Malaysia is back in action and has officially launched their month long Slip n Slide event! It will be happening from the 30th September to 29th October 2017, every weekend on Fridays (5pm-12am), Saturdays and Sundays (9am-12am) at Setia City Convention Centre in Setia Alam. 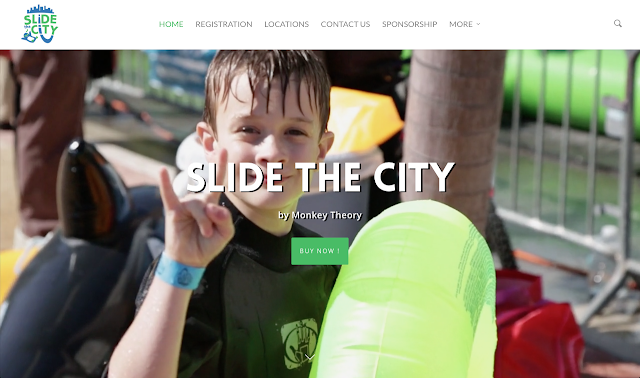 Slide the City has been a global phenomenon that brings a gigantic slip n slide to major cities such as the United States, Columbia, Canda, United Kingdom, Korea, Japan, Brunei, Hong Kong, Macau, China, Taiwan and more! 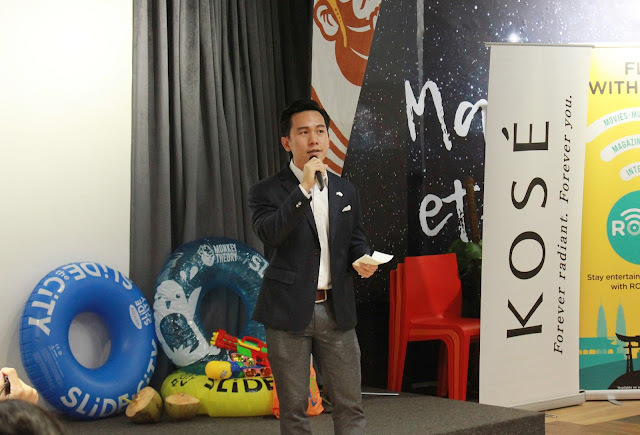 Flashing back, its thanks to Monkey Theory Sdn Bhd for bringing the iconic slide to Malaysia in December 2015. Throughout its early adventures in Malaysia, they heard you and instead of having it over one weekend, they've made it be a month long event! Everyone will be given the opportunity to experience the slide at least once in their lives. So guys, start stocking up your sunscreens, and grab your best summer outfit to slide your soul out! And the sponsors are all ready to surprise you with some summer fun! 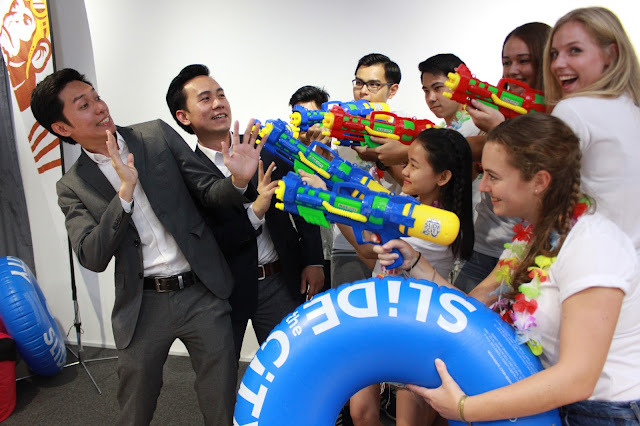 This year is definitely bigger and better where it would be a carnival like atmosphere that you wouldn't want to miss. 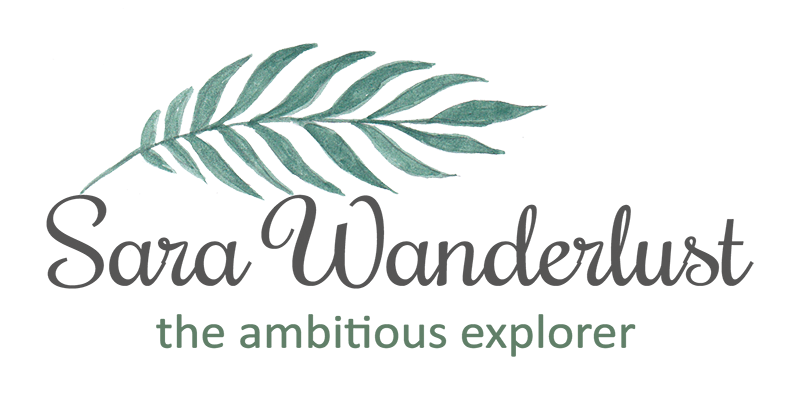 A portion of the sales proceeds will be channeled towards the National Kidney Foundation of Malaysia in support of patients suffering from kidney disease. And with this event happening this year, Slide the City malaysia also aims to raise awareness of obesity, and would like to encourage a healthy lifestyle in a fun and engaging event that the whole family an participate. YAY! So get ready to get wet! Other than the premium slide excitement, the event will also feature live music, and carnival games such as the Rodeo Bull, Dunking game, Bungee Run, and Gladiator Joust. Don't worry about food as there will be many food offerings of over 15 food trucks to fill your tummy up. The slide length would be about 420 feet long and 25 feet in height, so be prepared to slide your way to the Slide the City event.